The Yeti diorama my son is working on for his 7th birthday party this month. Yes, he’s having a Yeti-themed party. Good job. What an imagination!! Can Grandma and Grandpa come to your party? 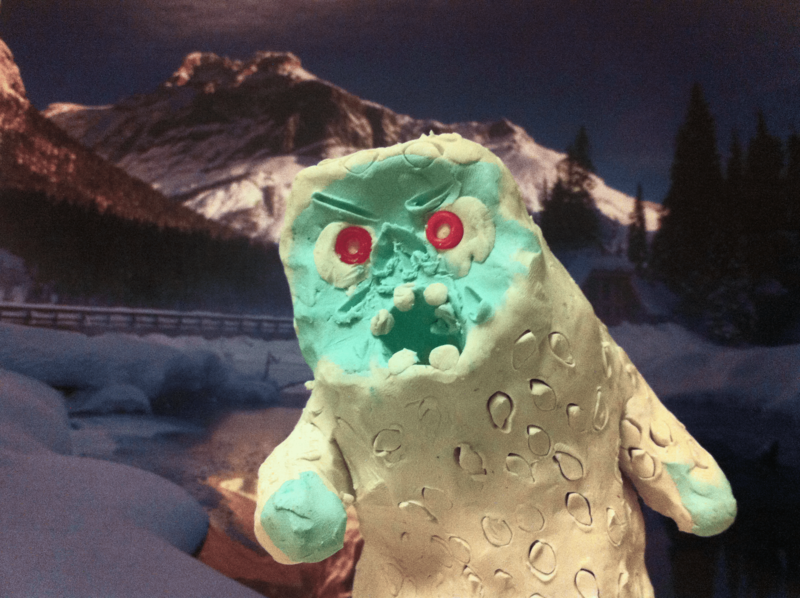 A Yeti-themed party… that sounds fantastically creative. 4. A Robin-hood party, with Robin Hood hats — feather and all — for everyone. We gave dollar-store bows and arrows and foam swords to ALL the kids in the neighborhood. There was an EPIC battle outside afterward. I also made life-size cutouts of Robin, Little John, and King Richard that lived around the house for months afterward. 5. A Monster party with crazy monster cutouts that my son made. The kids made Monster masks at the party and generally freaked me out. This year it was almost a Mount Everest party but Yeti’s ended up seeming like more fun. You should post the Robinhood story he wrote! LOL! Another themed party! This is your 7th yet still no invite? 7 parties and you still haven’t gotten the hint.